Regardless of title or position, leadership qualities are something everyone should strive to attain. From running an entire organization to managing a team to being a parent, possessing the skills to inspire and guide others can set you up for success and simplify many aspects of life. 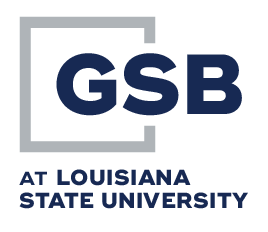 At GSBLSU, leadership qualities and techniques are an important area of focus for our future graduates, because we understand just how applicable these skills are in banking and beyond. 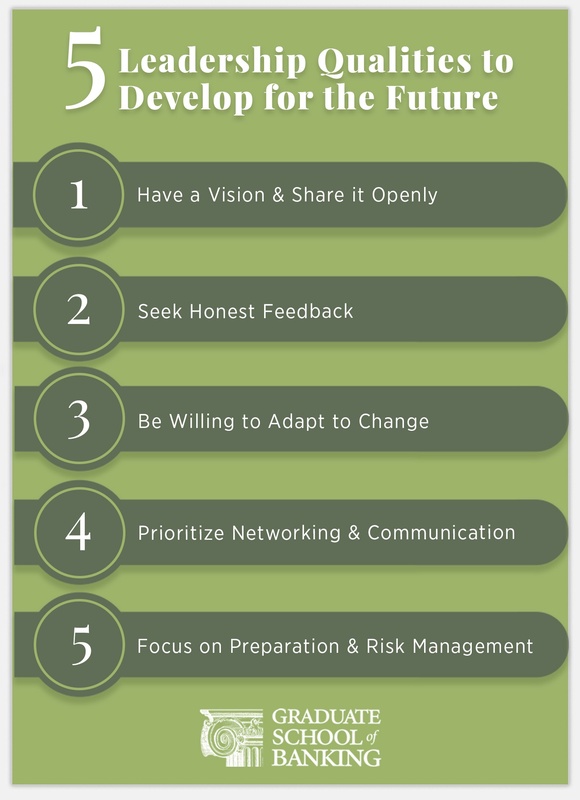 Below, we expand on just five aspects of leadership that we encourage students to develop for a successful future. Have a Vision & Share it Openly – Over the last several years, studies have indicated that 40 percent of management do not trust their senior leadership, do not believe leadership has a credible plan and do not have the confidence in leadership’s ability to carry out a plan. A leader of tomorrow will find a way to articulate their vision and gain support for this vision among the team. A vision can only come alive if people are voluntarily willing to commit to it, a result that is normally achieved when there is a compelling opportunity for them to fulfill a personal concern. Seek Honest Feedback – True leaders work hard to understand and evaluate themselves. They seek honest feedback from their team and are mindful of their weaknesses. This fosters trust, develops relationships and drives results. Be Willing to Adapt to Change – The banking industry is changing at an extremely fast pace. Having the strategic flexibility to adapt and change mid-course is an extremely attractive trait today. Leaders in the banking industry constantly need to be monitoring and reviewing products and programs, new technologies, and their market positioning to make sure their particular bank is not stuck in a rut. Prioritize Networking & Communication – Effective use of informal networks to understand people’s true perceptions can help leaders of tomorrow. A good understanding of how innovation occurs can help boost performance and reduce inefficiencies. By developing informal social circles, customer relationships and networking groups, a core understanding of the industry will be developed. Focus on Preparation & Risk Management – All too often, employees fail to communicate the potential of risk due to fear of “rocking the boat.” It is imperative that risk management is implemented by the leaders of tomorrow so that everyone on the team is prepared for any unforeseen crisis. 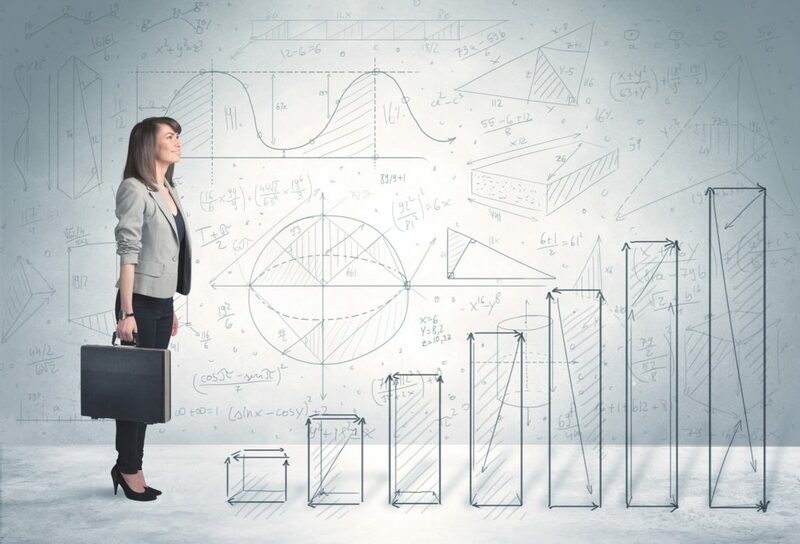 An open and progressive culture and attitude towards any risk or potential crisis will help prepare the organization for any change in the industry.